Nowadays, we are very conscious about out fashion. Maximum men, even the women don’t like a hairy body. It ruins out beauty – like my backside hair (below the neck) is very thick. For that, I could not wear some stylish T-shirt and it looks very odd. So, a Body grooming kit is not for fashion now it is my basic need. It develops our personality. If you are searching for a Bodygroomer in a cheap price range, The Philips BG2038 may meet your budget. 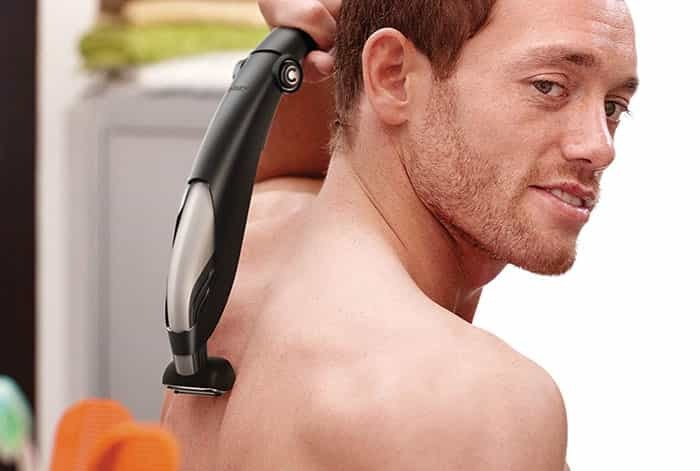 You will get an extra-long back attachment with this package which can help you to shave your backside easily. The trimming combs are rounded, these combs comfortably glide over the skin. The 3 combs are for different body hair lengths. Blades are self-sharpening which ensure a precise trim and shave each time. 1 hour charging time and running time is 50 minutes. The shaving head will prevent your skin from nicks and cuts. 45 days money back guarantee and full 2 years warranty. Phillips BG2038 Norelco Bodygroom 5100 has the Aquatic system which will give you the option of wet or dry use. You can trim or shave with shaving gel, cream, foam for extra skin protection. The foils of Phillips BG2038 bodygroom 5100 is hypoallergenic and the blades and combs are rounded which will prevent your skin from irritation. The blades are self-sharpening, so you don’t need to lubricate the blades and the shaver would be ready for work everywhere anytime. Is it noisy?– It is not loud enough to disturb anyone. 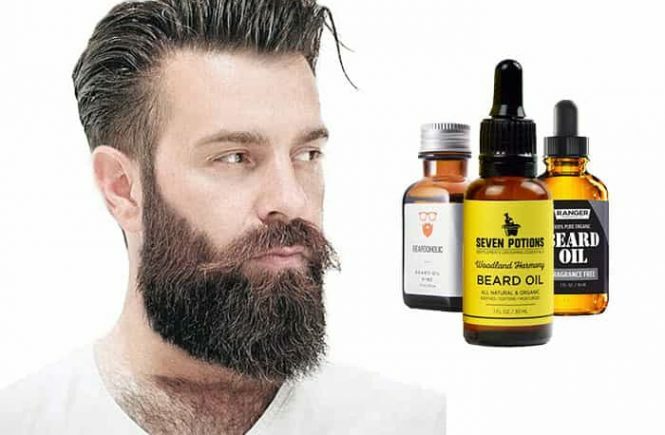 Can you use it for your facial hair? – yes. Phillips BG2038 Norelco Bodygroom 5100 comes with a Lithium-ion rechargeable battery. The battery will give the shaver enough juice for full body groom; it will provide you 50 min of work time by 1 hour of charge. There is an LED display in the front side of the shaver’s body. The LED display will show you when the battery is full/ low/empty. When the battery is full, the LED light becomes green and when the battery charge is low the LED light becomes orange. When the battery goes low, the LED display will give you an alarm. So don’t be worry about sudden run out of the battery. Personally, I am very happy with the battery life. I did not have to face any problem with the battery. I think there is no user, who has any objection about battery life. The manufacturer recommended that you have to replace the foil every 6-12 months with the BG2000 replacement foil. Replacement of the foil is costly, but buying a new one is more costly than replacement. After the replacement, your shaver will work like before. So, keep your groomer always new replacing the foil like-wise that the manufacturer said. Phillips BG2038 Norelco Bodygroom 5100 is made with the high-quality material. It is almost fully silver color. 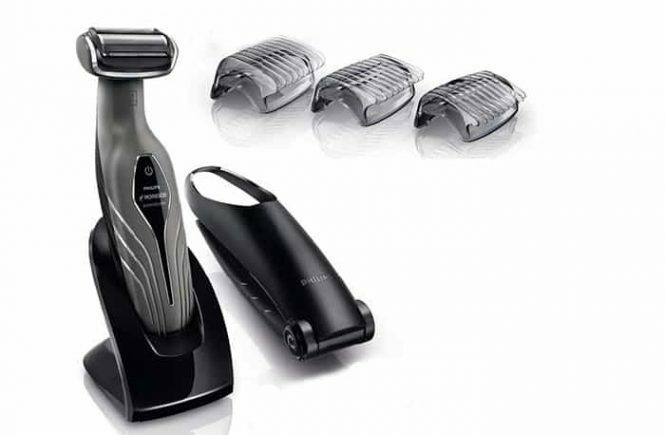 This shaver comes with an ergonomic design that will feel you like an expensive shaver. The Phillips BG2038 is shower proof. So, you can shave or trim under the shower. You can also use it dry. 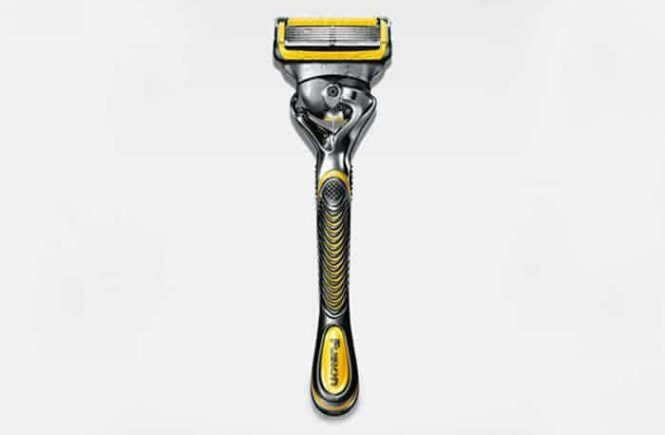 The shaver is very lightweight – only 12.6 ounces. So, it will easily fit on your hand, even if you hold it for a long time you will not feel pain because of lightweight. The blades are self- sharpening. So you don’t need to lubricate the blades. The blades are rounded; this shape of blades will prevent your skin from nicks and cuts. These blades will provide you precise shave and trim every time. There are 3 combs included with this package. These 3 combs are for the different length of body hair – from 1/8 to 9/32 inches to get the length you want. The combs are also rounded that will prevent your skin from irritations. Changing the head is very easy. All the directions are clearly provided on the user’s manual. The foil is hypoallergenic. For that, you will not feel skin irritation during the shave. Generally, it is very hard to shave/trim our back side hair below the neck. We cannot able to cut perfectly our back side hair without anyone’s help. But the Phillips BG2038 comes with a Back Attachment for extended reach. There is a little cleaning brush with it for easy clean. The battery of the shaver is made with Lithium-ion. By 1 hour full charge the battery will give the shaver 50min running juice. Cleaning is very easy. There is no cleaning base with this package. So you have to clean it manually. The shaver is fully waterproof. So don’t be worry about the damages through the water. If you use it wet, you have to do a thorough clean. 1st, apart the shaving head, then brush the shaving head and the shaver body. For a hygienic cleaning, you can use a drop of liquid soap. But if you always make the dry shave, remove the shaver head, brush the part very well, and then rinse it under the running water. After rinse let all the parts dry thoroughly otherwise it can face damaging problems. Now adjoin the parts. I have used many electric shavers over the year, some of them are for exactly face hair and some of them are to tackle the body hair. The Phillips Norelco electric shaver was the top performer in my book. But I like to try something new. I bought the Phillips BG2038 3 months ago. And I am very happy that, I can do my all body grooming by 1 product. My all body is hairy and unfortunately, my backside is one of the hairiest parts in my body. Without the back attachment, it was very hard to shave this part. The Philips BG2038 provided me a back attachment for that it became very easy to me. When I shave my backside I do not use the combs which included with this package. But the handle itself can be difficult to use because there is no real grippable ring to keep it in my hand. The shaver never dropped from my hand under the shower but I did have some close calls. It took a multi passes before I got the hang of the razor. If you use this device, you will need some practice to hold it from the right angle. The output after the initial shave was satisfactory and my back was so smooth. Overall it takes 15 minutes to shave my entire back. This is my 1st area to test out the 3 included attachments. With the attachments, I did a dry shave in this area. The attachment can easily capture my hair and give me a close shave to the skin as possible. In this area, I feel good with the dry shave. 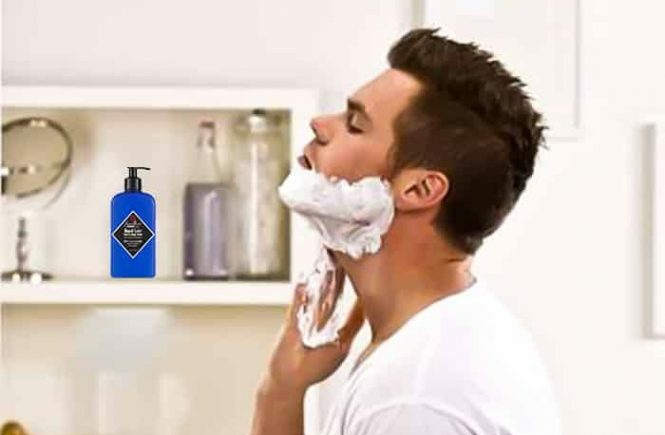 The dry shave is much better than the wet shave. I prefer to look like a man not like a 14/15-year-old boy. The trimming combs are well made and it feels not so thin. The combs give me close shave in my chest. When I shaved my arms and pits, I had to do the wet shave. This was the only time when the wet shave is much better than dry shave. In these areas, I really got a close shave and the shaver head can easily follow every contour of pits quite well. I utterly dislike shaving my legs and like to shave my chest. I think some parts of men’s body should not be shorn, the leg is one of them. However, the shaver provides you the option of the dry shave. I have done my job within 10 minutes. I have already explained I composed to shave my total body, so I could not let the twig, berries, and my bum go unseen. Thankfully my caboose is fairly hairless and in a minute it was softer than a baby’s bottom. I was a little bit nervous when I shave the area, but for the sake of an honest review, now I don’t feel any nervousness during shaving this area. I don’t feel the pull of hair even any kinds of irritations. Overall, the back attachment is an excellent idea of this series but it needs a few grippers for that it is easier to use. This bodygroom comes with a back attachment. There is no way to remove the foil from the blades. If you want to buy a new Bodygroom, you can try The Phillips BG2038. This package will provide you 45 days risk-free trial. If you don’t like the bodygroom after use, you can return it and you will get the money back. Personally, I like this bodygroom and I will recommend you for this product. If you intend to buy a new product, you should at least try it for once. 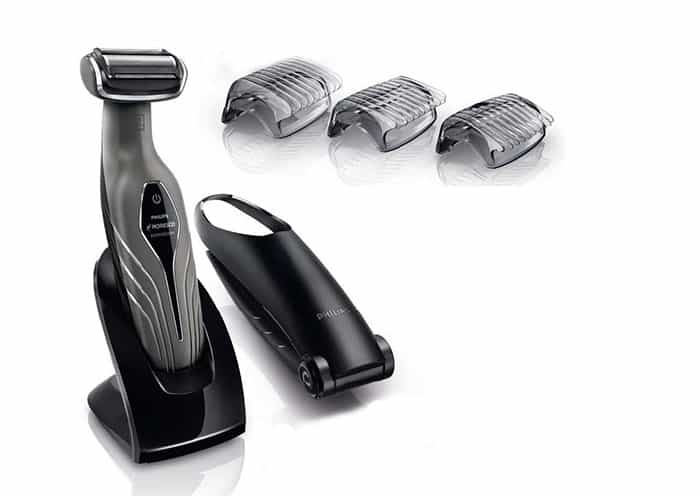 There are 3 additional features of the upgraded Philips Norelco Bodygroom 7100 series. But it does not have any back shave attachment. This Body-groom is also showerproof; you can use it wet and dry. The features of Phillips Norelco Bodygroom 3100 and Philips BG2038 are almost the same. The only difference is charging time, weight and back attachment.